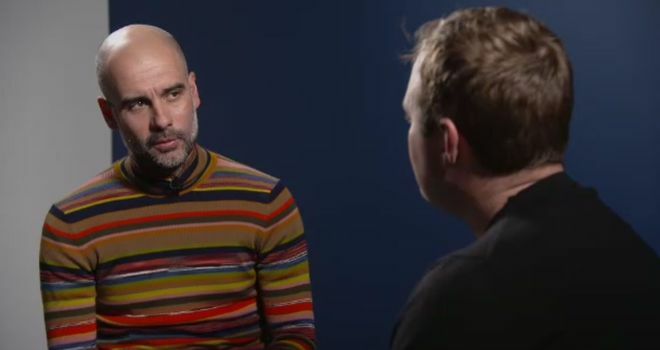 Speaking with Soccer AM's Tubes, Pep Guardiola gave a fascinating insight into the highs of being a manager. 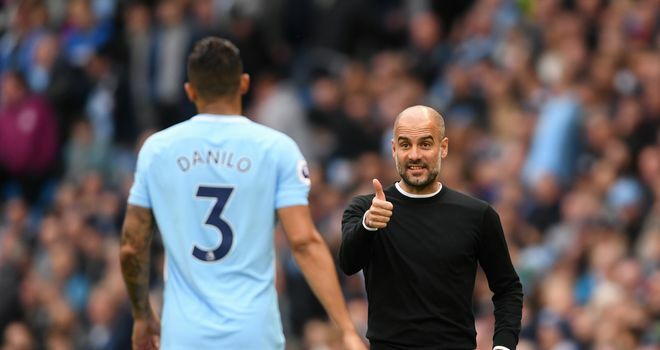 The Manchester City boss has won everything as a club boss; three La Liga titles, three Bundesligas, two Champions League crowns, three Club World Cups and countless other trophies, as well as chasing his second straight Premier League title. 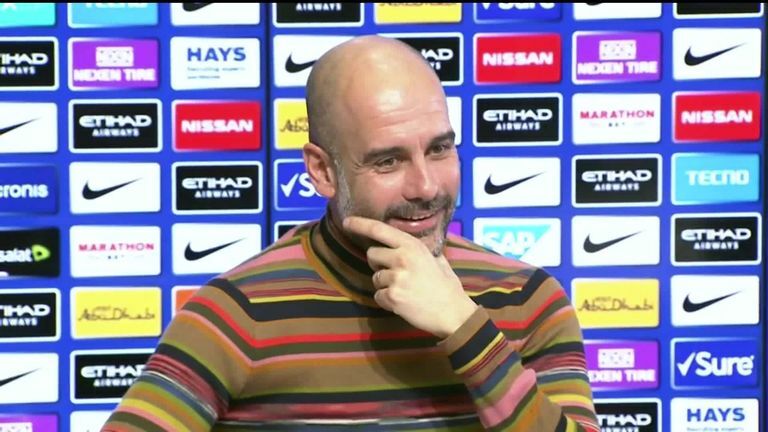 Though he admits he enjoyed playing more than management, Guardiola opened up on the particular buzz he enjoys in the dugout, but insists the players deserve most of the credit for his success. He told Tubes: "The best is when you decide to play in a certain way and it works. At the end, trophies and titles are a consequence, but more pleasure comes when you imagine a game, or players playing in a way, and it happens. "That is the most satisfaction as a manager, that is the reason why I am a manager. The opponent playing in a certain way, we are going to do this and that with the players we have, it is incredible." Asked for the reason behind his success, Guardiola said: "Good teams. Good teams. Thank you so much [for the praise], I appreciate it, I do my best and I am a good manager, but good teams. Barcelona, Bayern Munich and here, three incredible clubs, organisations, and incredible players. "I don't play! I can give some advice, the way we train, try to create good atmosphere, convince them of the best way to play, but I don't play!" 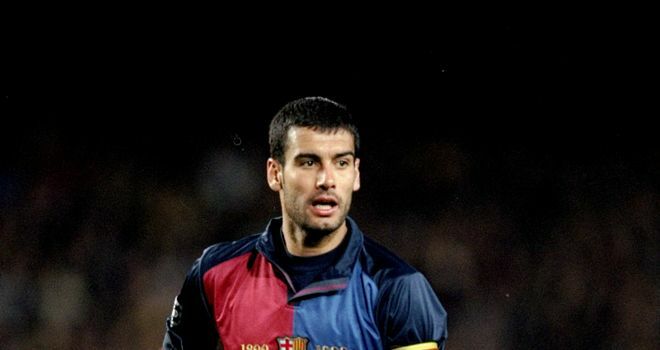 Having learned from Johan Cruyff at Barcelona, Guardiola revealed he was in his mid-20s when he decided he wanted to be a manager, and would even think how he would set up as a boss before he played. "When I was 25, 26 years old. Johan Cruyff helped me to enjoy and try to understand the game. I like my profession, I like what I do," he said. "I played the games like a football player, but before the games I would try to figure out what I would do if I was a football manager." As well as delving into the pleasures of management, Guardiola revealed the aspects of the job he dislikes. Above all, he says leaving players out is the toughest part of management. "The worst day is by far when you cannot let your players play. That is terrible. It is a disaster. It kills me," Guardiola said. "But I don't have that solution, so I try to make rotation, there are many, many players who deserve to play, and I cannot let them play. That is the toughest moment in my profession." Guardiola also enjoyed a glittering playing career, winning six La Liga titles and the European Cup with Barcelona, and admits nothing compares to being out on the pitch. "[I prefer] Playing. Definitely! Play and go home, that's all. Here it never ends. But now I enjoy my profession," he said. "When you are a player you are there, you score a goal, you hug your mates, and in the bad moments, nothing is comparable when you are a football player. It's like when you are a manager and after you are a pundit, so better you are a manager!" Asked if he would become a pundit, Guardiola said: "No. No way. No, no, no. I will not do that because I have a lot of respect for other managers, and I will not offend with my comments. "I will be watching the game, but I will be playing golf and reducing my handicap."